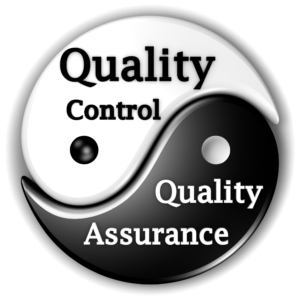 Our Quality Assurance (QA) program encompasses every aspect of activity that may have a bearing on results. The QA program is a fundamental part of this laboratory and is used by all levels of the professional staff. Our program includes precise guidelines for method blanks, duplicates, matrix spikes, matrix spike duplicates, surrogates and external third party QC standards. Each sample received is logged into our Laboratory Information Management System (LIMS). The sample is tracked and monitored from time of intake to report generation. Our QA/QC program assures adherence to proper methodology and accurate reporting of analytical results. Performance of the usual laboratory quality control is included in the listed fee. Our regular report includes the samples analytical results, method blank results, and laboratory control sample results, where applicable. This report also includes chain of custody documents. Project specific QC samples are billed as individual samples. An additional laboratory fee may be charged if the sample requires digestion, special extraction, or other special preparation. There will also be charges for set up, supplies, and development for non-standard methods. If a client requests that a sample be analyzed in spite of exceptions to holding time, sample bottle, refrigeration, chemical preservation, or other requirements, the exceptions will be noted on the final report.